– The history of foiling, going from the Air Chair hydrofoil, how it got adapted to two in foiling and more recently the development of bigger, thicker foils that can fly at lower speeds and allow foiling in the surf and in downwinders, pioneered by Alex Aguera of GoFoil. 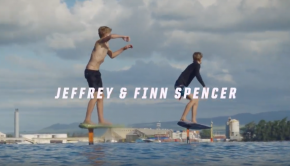 -How foiling works and the cool feeling of being able to fly over the surface of the ocean. -Breaching and how to minimize the wipeouts that are hard to avoid for beginners. 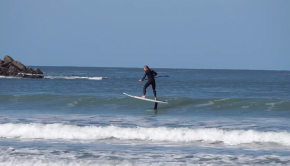 -How foiling changed my daily routine and how small, sloppy surf can be a lot of fun. 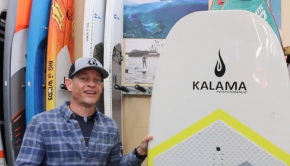 – Kai Lenny kick starting off the wave of hydrofoil surfing by posting an engaging video about downwind foiling and Dave Kalama motivating me to get better. – The importance of having the right equipment- right foil size and board size. – The difficulty of doing downwind foiling and how it’s harder than learning in the surf. – learning behind a boat. 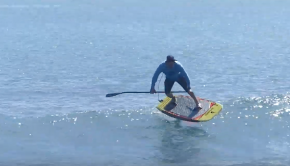 – The business side of foiling and the SUP industry. – How the market for foiling seems to be bigger than expected.